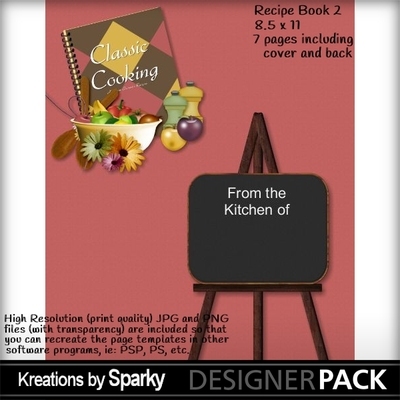 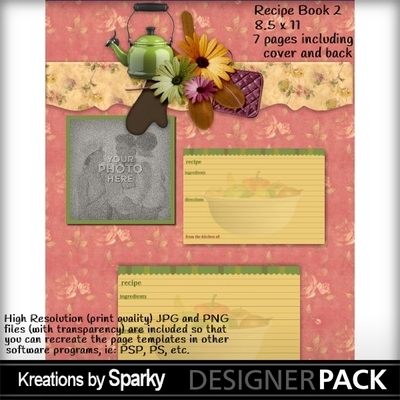 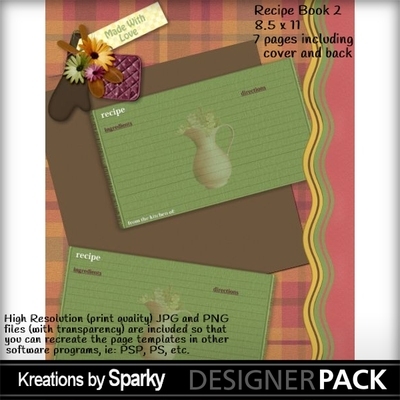 Recipe Book designed using KBS Whats Cooking Collection. 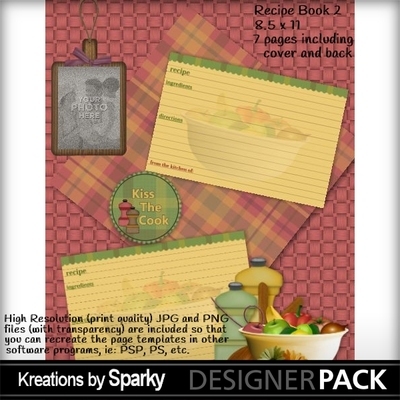 Makes a great gift from the heart to a loved one. 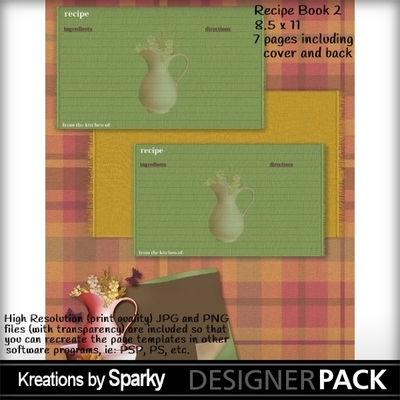 Sized at 8.5 x 11 it's just the right size for printing. 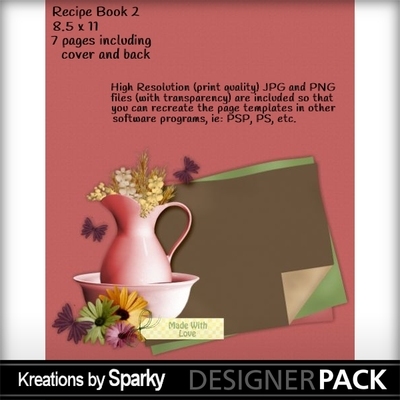 All are High Resolution (print quality) JPG and PNG files (with transparency) and are included so that you can recreate the page templates in other software programs ie: PSP, PS, etc.